As of today, the analog cellphone is no more. 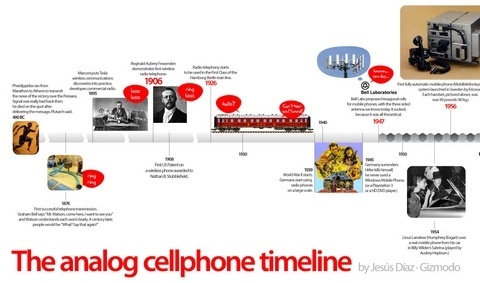 Here’s the complete timeline of its development, since Greece in 490BC to February 18, 2008, the day in which networks are no longer obligated to provide with analog cellphone coverage. Click to see the huge, high definition version.